It’s Sonic’s Knight costume from Sonic and the Black Knight! 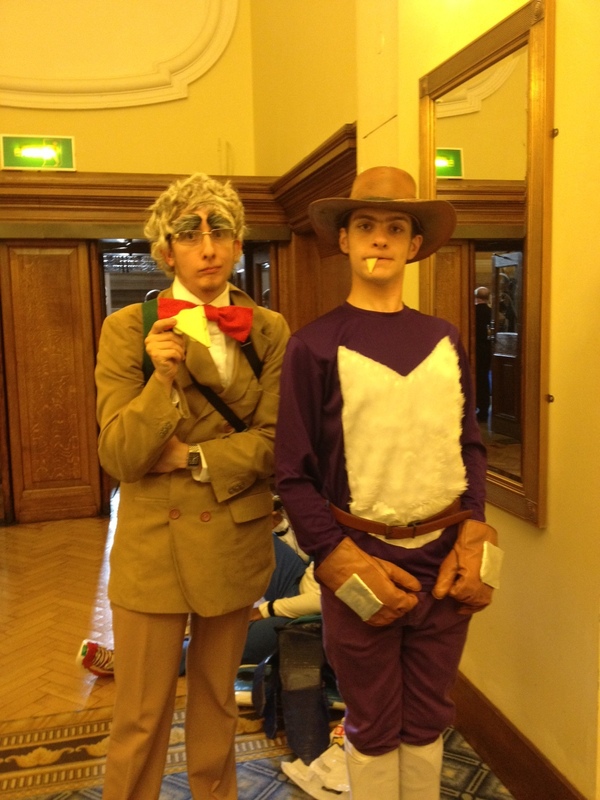 Professor Pickle and Fang the Sniper! 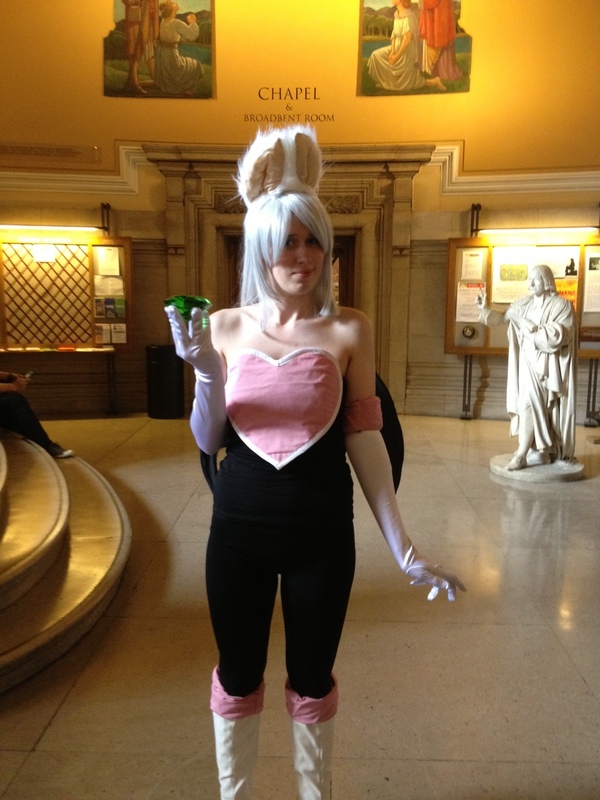 Summer of Sonic is also a fantastic opportunity for the more creative fans to show their costumes. 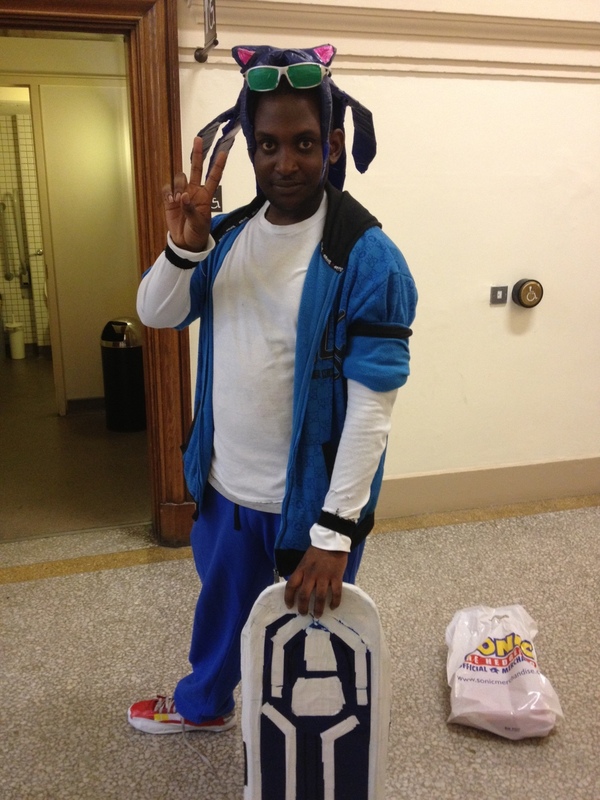 As expected, many fans were naturally inclined to dress up as the popular blue hedgehog. But there were a few rather original exceptions. Some fans just love to dress up as their favourite characters from a particular video-game. This was no exception at Summer of Sonic where many fans dressed up specially for the occasion. The organisers themselves made the prospect of wearing an outfit in the current Summer heat more appealing – by holding a cosplay competition. 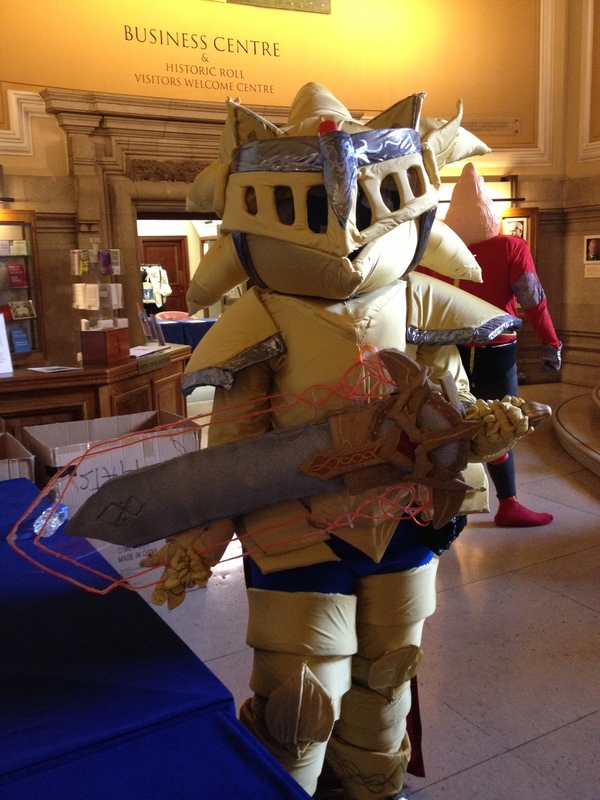 One of the eye catching costumes seen several times throughout the event was the knight costume that Sonic once wore in his Nintendo Wii video-game, Sonic and the Black Knight. Not only that but it’s also the costume worn by him in his Super Sonic form. It’s clear that it took countless hours to complete such a costume. Other highlights included the resourceful Professor Pickle from Sonic Unleashed. Those that played this video-game will most likely remember his fondness for food – and in particular cucumber sandwiches. By his side is also another lesser known character in the history of Sonic. The troublemaker and treasure hunter Fang the Sniper, who first made an appearance in the appropriately titled Sonic Triple Trouble. A certain Mr T-Bird will no doubt have liked seeing this Fang walking around on the show floor. It wasn’t just Sonic characters that attendants chose to dress as. 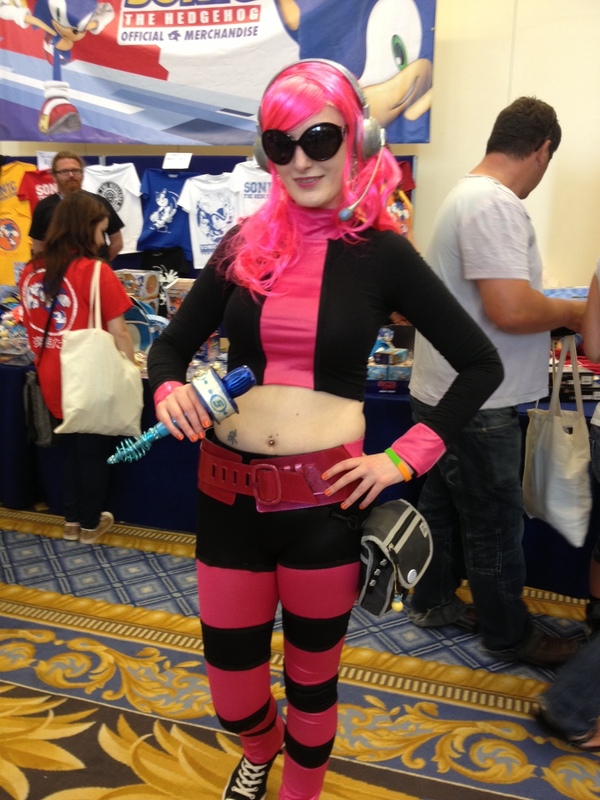 The intrepid space reporter Ulala was also spotted in the crowd. She was probably interviewing attendants in order to find out where her next scoop would be. 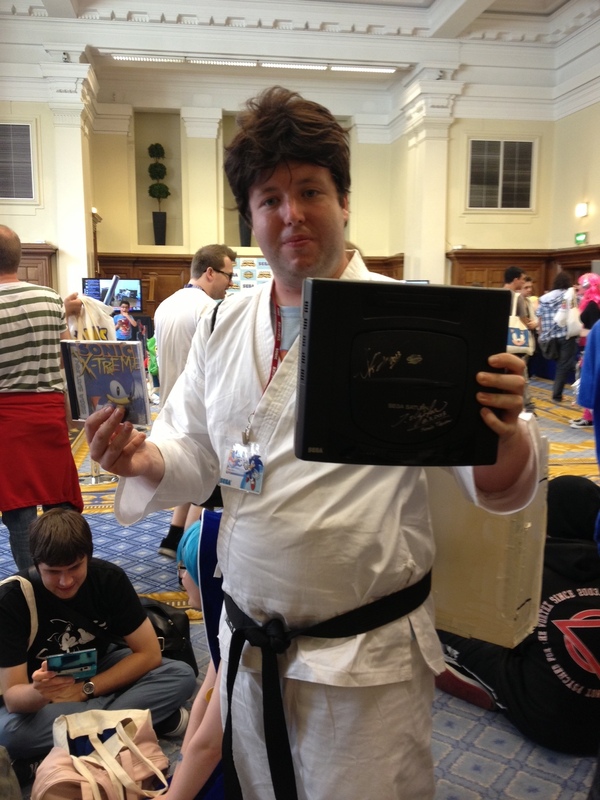 Those Sega Saturn lovers out there were also honoured with the attendance of the almighty Sega Sanshiro. 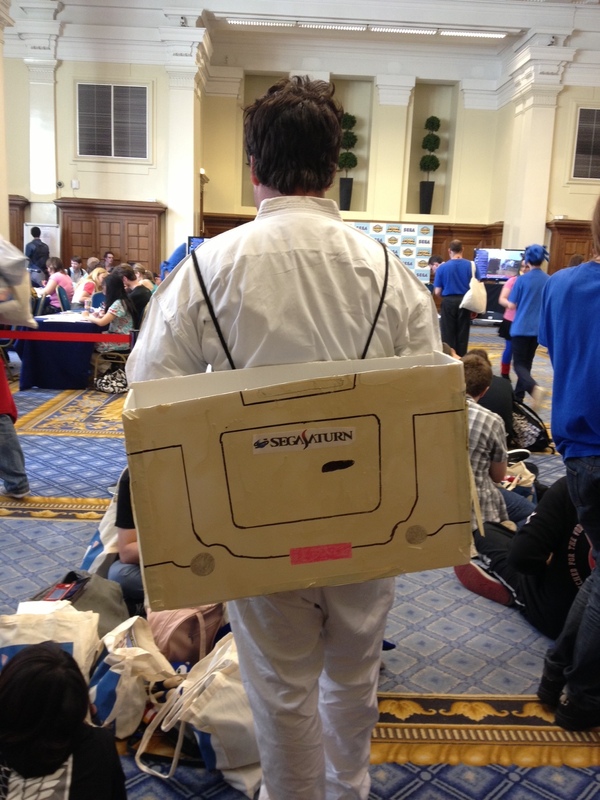 Not only was this dedicated Sega Saturn fan holding a Sega Saturn – which he would randomly hold up in the air – but he also went to the trouble of making a custom Sega Saturn out of what looked like a cardboard box. It’s always a pleasure to see just how far imagination can get you and these costumes are a perfect example. 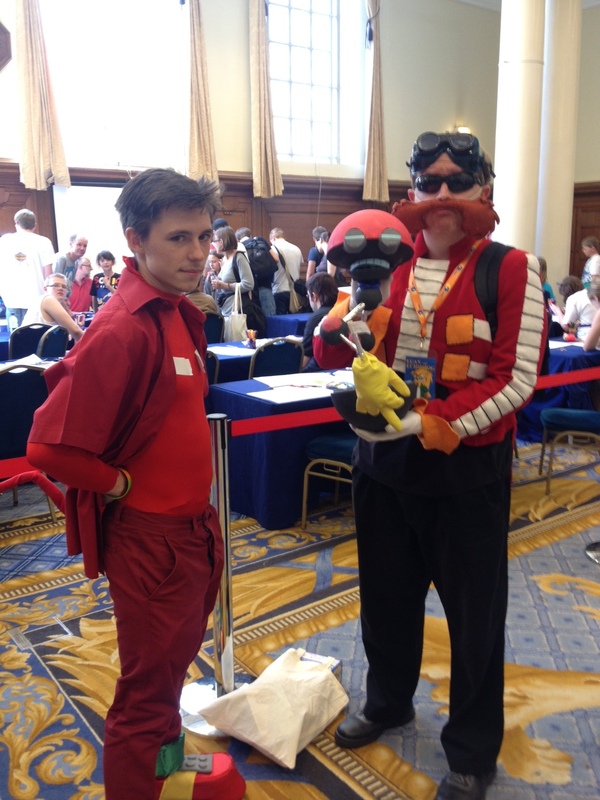 It’s also nice to see Sonic fans put so much effort into dressing up as some of the lesser known characters. is a long time Sega fan who grew up playing on Sega hardware. His favourite Sega hardware is the Sega Saturn and he often goes back to play some of his favourite video-games on it - such as Panzer Dragoon Zwei. He is a contributor to various video-game websites such as Sega Nerds.